Hi there! I’m publishing an article series called ACX 101, intended to be a primer on ACX for authors and rights holders, but written from the perspective of a narrator. It is intended to provide information and resources to those considering having their books produced in audio format and offers a ton of advice for rights holders who are stepping into the world of audiobooks for the first time. This article is background information for that blog series and serves as a sort of primer on the audiobook publishing process. If you’re an author or narrator interested in working with ACX, read on! First- Welcome to the World of Audiobooks! Congratulations and welcome! Audiobooks are a $2-billion dollar industry that is growing by leaps and bounds, with huge growth year-over-year in sales and number of titles published. If you’re reading this, it’s likely you’re an author or rights holder and considering having your book produced in audio format. Whether you’re a self-published author with your first manuscript in hand or a successful writer with multiple top-tier titles on Amazon, if you’ve never done an audiobook before, there’s probably a lot you don’t know, or things you should know, before embarking on the process. Full Disclosure! 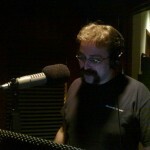 I am a narrator (that’s me over there on the right), and these articles will be written from my perspective. That is not to say that I’m going to offer you bad or unfair advice, but it would be unethical of me to present myself as a fully unbiased voice. I encourage you to seek multiple sources of information and advice on these topics! Before we even talk about working with narrators, ACX, auditions, negotiations, revisions and all those other topics, let’s do a quick discussion of just how audiobooks are produced. If you’re a rights holder or author, this is your opportunity to see how the sausage gets made. We’ll go over a lot of other details about how you as a rights holder might want to approach your audiobook project and what you should consider when working with your chosen narrator, but for now, let’s just stick to nuts and bolts of the production process. The information in this document applies to most audiobook productions, whether done via ACX or not- I’m intentionally not mentioning any ACX-specific elements of the production-process here, as I’ll be covering those details in other articles. Producing and audiobook involves multiple roles- sometimes one person takes on several or even all of these roles, but other times each role is handled by a separate person. Either way, each of these roles is critical to the success of an audiobook project. 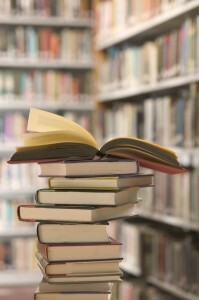 Narrator– the narrator is the voice of the book, and records all the text in the book. Some books feature multiple narrators, but that’s far less common, and involves a lot more work. Proofer– the proofer, or “prooflistener”, is someone who listens to all the audio recorded by the narrator, noting any errors he or she makes, as well as any background noises, awkward phrasing, mouth sounds, distracting breaths and other stuff like clothing rustling. Editor– this person takes the list of corrections necessary from the proofer, works with the narrator to get corrections recorded (referred to as “pickups”), then edits the corrections into the original audio, along with removing problematic noises and correcting pacing problems. Mastering Engineer– once the audio is fully recorded, proofed and edited, it must be mastered, meaning applying specific audio treatment to adjust levels, ensure uniform volume and apply equalization to make the audio sound as good as it can. This is necessary to make sure the audio meets specific standards of volume and quality that are required to be sold in stores like Amazon, Audible, iTunes and Barnes & Noble. QC Listener– the final quality pass, this person is the final gate to the production, listening to the production in full once more to ensure nothing made it past the rest of the process. Each of these roles is critical to a successful audiobook production. With many producers, they will take on most or all of these roles. Some will contract with other professionals for specific tasks, such as proofing and editing. The very first step from the production team’s side of the process is for the narrator to read the script. Yes, the whole thing. This is crucial to identify things to research, such as pronunciations and possibly accents, and to furnish an opportunity to ask the author or rights holder questions about specific elements of the script, or character notes. The narrator will likely spend some time reviewing word pronunciations on various websites, and may need to make some phone calls or engage other resources to make sure he or she has the right pronunciation for certain words- place names are a major point here. At the completion of this process the narrator will have a set of notes, including character notes, pronunciation notes and other references to help guide him or her during the recording process. Where the magic happens! In this step, the narrator records the text of the book. This is done using one of two methods: rolling record or punch and roll. Both methods are used to address the inevitable situation of: what do you do when an error occurs? With rolling record, the narrator simply pauses a moment and resumes at a point before the error- usually the previous sentence or paragraph. Both the error and the retake are now on the recording. During the editing process, the extra take(s) must be removed. When doing punch and roll, when an error occurs, the narrator stops the recording, rewinds (or “rolls”) the recording back to a point prior to the error, starts playback so he or she can hear the recorded audio, and at the right moment “punches in”, switching from playback to recording smoothly. The phrase is a holdover from when recording was done on reels, so rewinding was “rollling” and hitting a button on the console was called “punching”. These days it’s just mouse clicks and keyboard shortcuts, but the principle is the same. With rolling record the narration takes less time but requires more time in editing. With punch and roll, narration takes longer but the result is a single clean take, much easier to work with for the proofer and editor. The vast majority of audiobooks today are recorded using punch and roll. 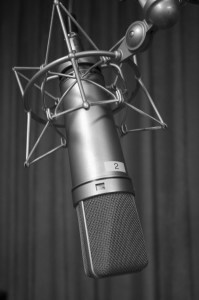 An experienced narrator can usually get between two and three hours of audio recorded using this method per day. However, that rate varies due to a number of factors, such as schedule, other work, vocal strain, and even the weather (which can affect the voice). A good general rule is about 1.5 to 2 hours of recording for every hour of raw audio. When the narration is completed, or when a significant portion is done, the prooflistener steps in. 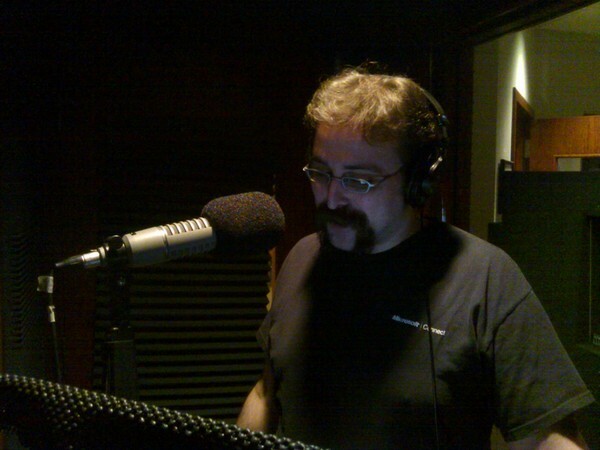 This individual is the gatekeeper for the audiobook and more than anyone else bears the ultimate responsibility for the quality of the audio. The proofer listens to the audio while following along with the manuscript. He or she notes any errors where the narrator deviated from the script, transposed words or omitted something. He or she also notes when there are noises in the audio, such as a click, mouth noise, clothing rustle or other unwanted sounds. The proofer notes all the errors in a spreadsheet and indicates whether they require re-recording of a specific passage or portion of the text, or if it’s just a problem the editor can remove- if a noise occurs between passages, there’s no need for the narrator to re-record anything, but if there’s a sound during the middle of a word, that may require a correction or “pickup” to be recorded. The proofer’s art is to be able to identify these issues. Proofers may also be tasked with more performance-related quality assurance, noting if the voice for a character changes, or pronunciation of a name is wrong, or there’s an awkwardly paced or spoken passage. In this step, the narrator receives the proofing notes from the prooflistener, and re-records any noted passages from the manuscript. These are often called “pickups” or just “corrections”. The pickups are usually sent as a single file (a “pickup reel” or “corrections reel”) to the editor. The editor takes the pickup reel, and with the proofer’s notes edits in the changed audio and also removes or corrects other issues the proofer noted. Audio editing is a subtle art and a deeply technical craft, and the best editors are in strong demand for their skills. In this step the final, edited audio is mastered, which means to apply audio processing such as equalization (“EQ”), compression and other filtering to “sweeten” the sound, make the general levels work well for the entire production and ensure that the audio will sound good whether you’re listening on $5 earbuds, on your car speakers in traffic or $300 Sennheiser headphones in an acoustically-perfect environment. Mastering is a subtle art and one that requires a deft touch. Over-compression, bad filtering and other errors are the bane of audio that would have otherwise sounded good. A truly professional mastering engineer knows that less is usually more. This is the final step before releasing to production. A final pass over the mastered audio is done by someone who listens carefully for any issues potentially missed during the earlier phases or that cropped up during the mastering process. Once the final QC pass is complete and signed off, the book is ready for production! As you can probably glean from this very simplified overview of the audiobook production process, it’s a deeply technical and highly complex task involving a whole team’s worth of roles. All the players in a production team, whether it’s a solo producer doing it all or a publisher with multiple people available for any role, must be at the top of their game to produce a top-notch audiobook. The narrator is obviously the most visible part of the process, but his or her role is only one part of a much larger whole that most people who haven’t been part of the process understand. Producing an audiobook is far more involved than someone simply sitting down and recording themselves reading out loud, and the amount of time it takes to create a truly professional, top-notch audiobook reflects the dedication and commitment to excellence of a good producer. Now that you’ve read the background, you should head over and read ACX 101: Part 1, Preparation, in which I will discuss some of the things you should do well before you get ready to put your project out on ACX! This entry was posted on Wednesday, March 18th, 2015 at 7:56 pm and is filed under ACX 101, Audiobook, Blog. You can follow any responses to this entry through the RSS 2.0 feed. Both comments and pings are currently closed.